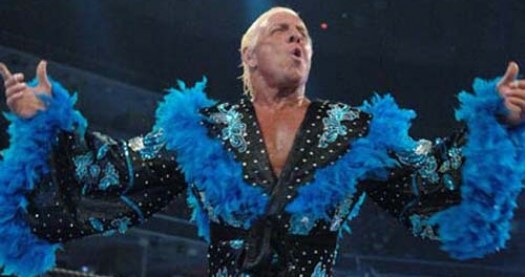 What do Ric Flair and National Signing Day have in common? Jim Harbaugh. There's no more entertaining coach in college football than Jim Harbaugh. During the January recruiting push to capture top prospects, Harbaugh performed a variety of attention-getting antics, including sleeping over at a recruit's house and climbing a tree. The recruiting season culminates Feb. 3 on National Signing Day, and if the guest list is any indication, there will be a downright party at the University of Michigan. The UM Athletic Department has announced they'll be holding a "Signing of the Stars" event on National Signing Day inside Hill Auditorium on the Michigan campus. A group of sports figures, artists and celebrities will be in attendance to celebrate the Wolverines' 2016 recruiting class, and although former players like Desmond Howard and Denard Robinson will be there, one name in particular caught our eye: Ric Flair. That's right, "The Nature Boy" will be hanging with Harbaugh and friends on National Signing Day. If every commit isn't greeted with an emphatic "Woo!" from the 16-time world champion, I'll be extremely disappointed. It turns out that Flair is a long-time friend of Harbaugh. The coach previously invited him to give a pre-game pump-up speech to the San Francisco 49ers in 2014. I can only hope Harbaugh will don a Ric Flair-style robe on the sidelines in the near future.